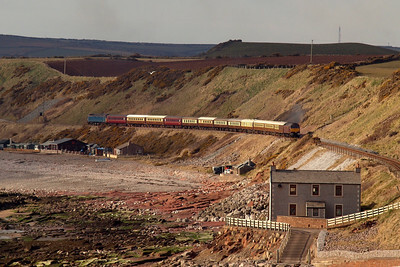 29/03/13 - 37608 & 37402, 6M60, Sea Mill, St Bees. 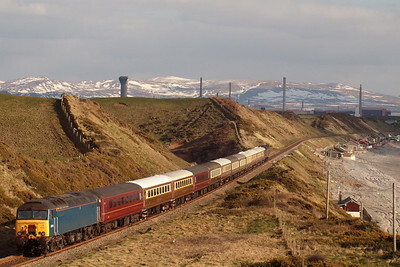 30/03/13 - 47826 & 57316, Cumbrian Mountain & Coast Statesman, Nethertown. 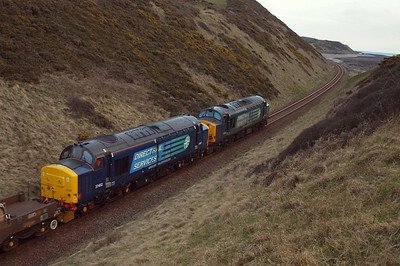 37608 and 37402 depart St Bees with a bit of thrash with 6M60 Seaton-on-Tees - Sellafield returning nuclear flasks, on a dull and cold afternoon on the Cumbrian Coast, 29/03/13. 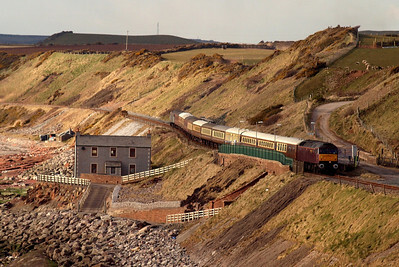 37608 leads 37402 into the cutting at Sea Mill, south of St Bees, 29/03/13. 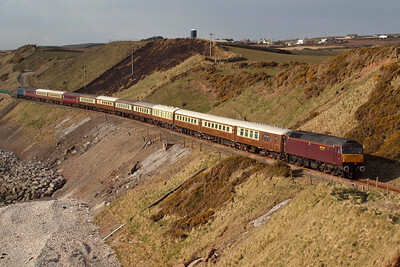 37402, recently released from restoration and overhaul by HNRC of Barrow Hill, looking shiny in the consist of 6M60 at Sea Mill, St Bees, 29/03/13. A Northern Rail Class 156 heads north through Nethertown station - no takers today! 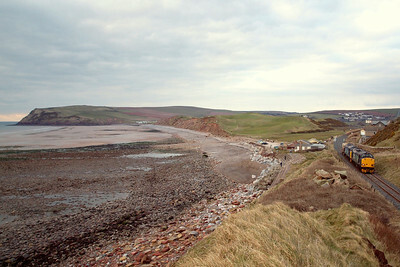 30/03/13. 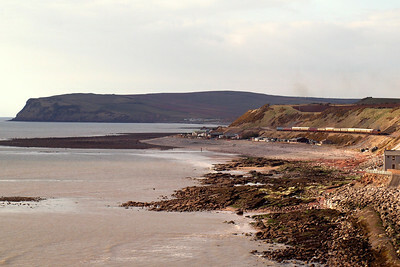 St Bees Head juts out into the Irish Sea as 47826 works The Statesman railtour round the headland at Coulderton, returning from Carlisle to Leicester, 30/03/13. 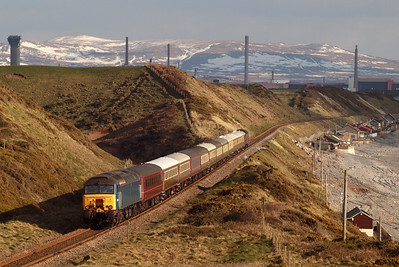 47826 head round the bay between Coulderton and Nethertown with the returning Cumbrian Mountains & Coast Statesman from Carlisle, 30/03/13. 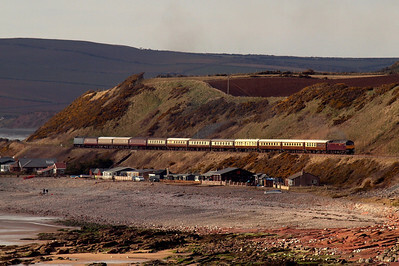 47826 and 57316 top 'n' tail the Cumbrian Mountains & Coast Statesman, returning from Carlisle to Leicester, passing the beach shacks of Coulderton, near Nethertown, 30/03/13. 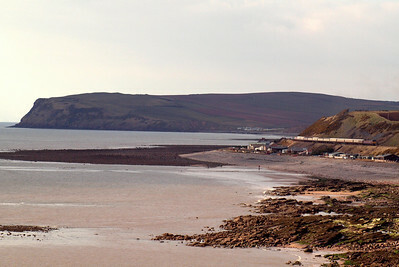 As Nethertown and Coulderton bask in some rare Spring sunshine, St Bees Head sits in the cloud as 47826 and 57316 head south along the Cumbrian Coast, 30/03/13. 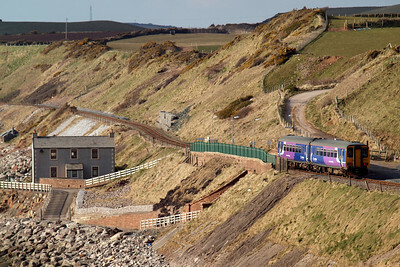 With the stationmaster's house at Nethertown in the foreground, 47826 approaches the camera, heading south along the Cumbrian Coast, 30/03/13. 47826 and the Statesman charter passing through Nethertown station, one of the least-used halts on the British rail network, 30/03/13. 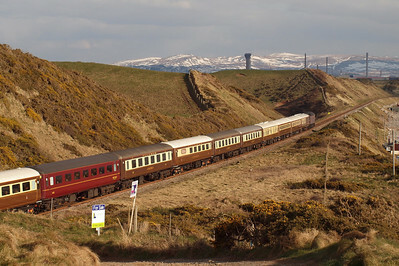 47826, recently repainted in West Coast Railways claret, heads the return leg of the Cumbrian Mountains & Coast Statesman through Nethertown, on her way back from Carlisle to Leicester. 57316 was on the rear of the formation, 30/03/13. 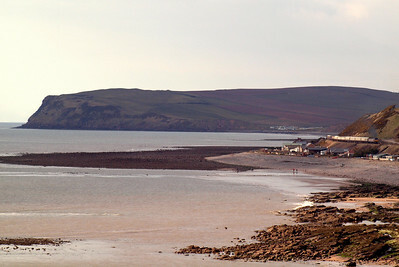 47826 heads south along the Cumbrian Coast, with Sellafield in the distance, 30/03/13. 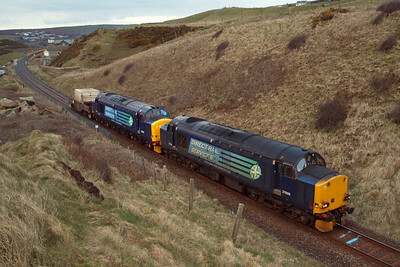 57316 brings up the rear of The Statesman at Nethertown, as the ensemble heads for Braystones and Sellafield, 30/03/13. 57316, recently acquired by West Coast Railways, and still carrying her old Arriva Trains Wales blue livery, hangs on the rear of The Statesman as 47826 forges southwards at Nethertown, 30/03/13.